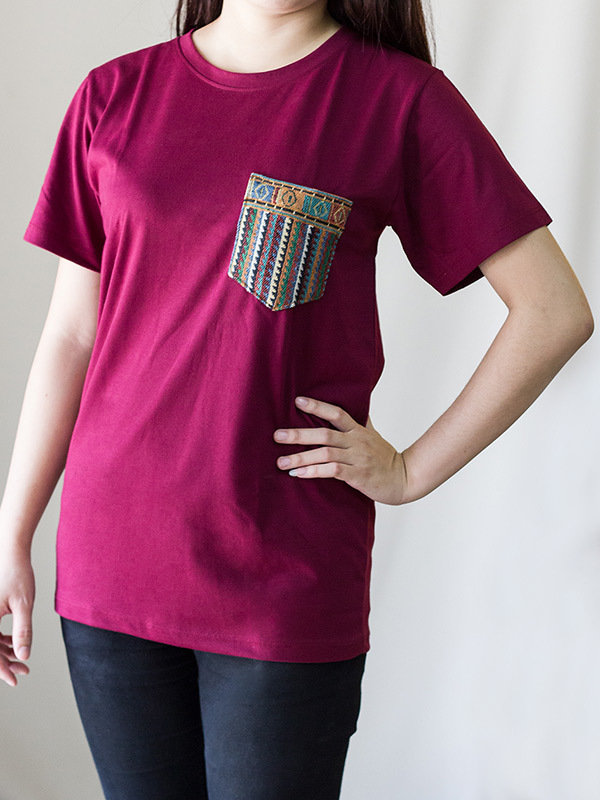 Colorful handicraft textile pocket highlights a classic tee. 100% cotton. 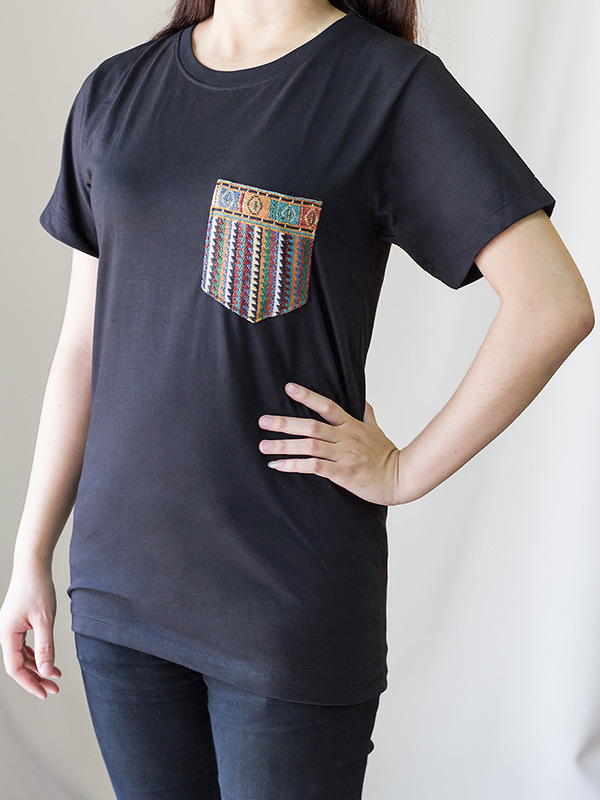 Each pocket is unique!